Authors from Allegany Community College have published this proposal. As these organizations do not take institutional positions, this proposal reflects the views of the individual authors. it has been 279 killing in 2018 by a shooting in Southwestern it has been 46 people who has got killed out of them 279 people there has been 8 youth out of the 46 people who was killed with 17 years old or younger. Violent crime spiked in 2015 after the death of Freddie Gray on April 19, 2015, which touched off riots and a crime wave that has resulted in an increase in murders. The city recorded a total of 344 homicides in 2015, a number second only to the number recorded in 1993 when the population was 100,000 higher. 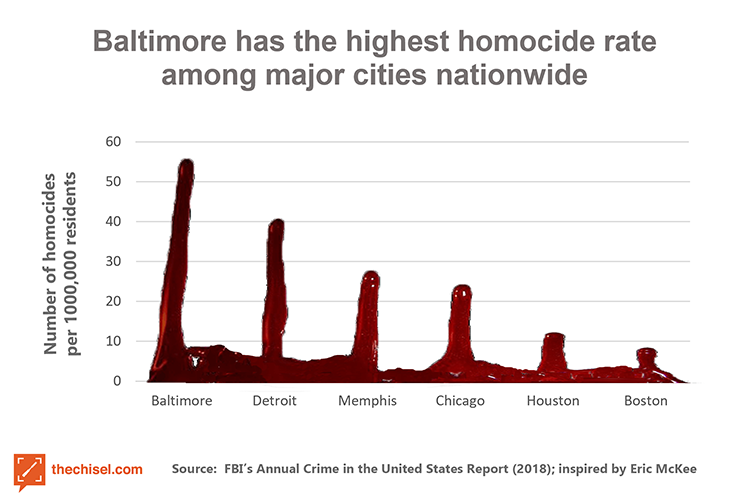 This was the highest murder rate on a per capita basis ever recorded.Baltimore had seen 211 murders as of August 19, 2015, which equaled the total number of murders that occurred in Baltimore in all of 2014. "Probably one of the biggest parts of the problem is that 60 percent of all of the people that are arrested and charged and prosecuted for committing crimes with guns in the city are let out into the streets. They don't serve time,"
342 homicides notched last year in Maryland’s biggest city a punishing homicide rate of 56 per 100,000 people, according to the FBI’s annual Crime in the United States . 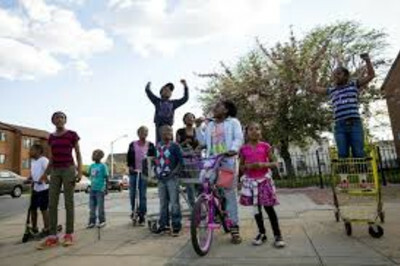 Baltimore had announced 343 slayings the year, three deaths were reclassified, eventually bringing total to 342 in the city of roughly 615,000 inhabitants.